22 Michaels: Sneaking Duck and Shoes of Prey Facebook Competitions! Sneaking Duck and Shoes of Prey Facebook Competitions! We're experimenting with a couple of competitions on Facebook for Sneaking Duck and Shoes of Prey to see if we can acquire more fans and email newsletter subscribers at a reasonable cost. It's working quite well so far. 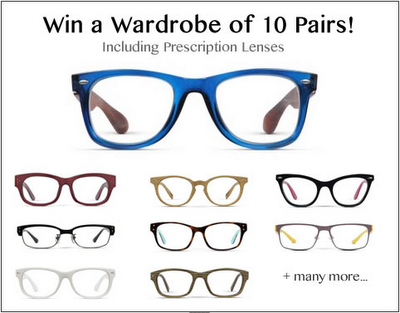 I'll post more details of the results once the competitions are over but in the meantime if you'd like to enter you can win a wardrobe of 10 pairs of Sneaking Duck glasses here and 5 pairs of customised handmade shoes from Shoes of Prey here. Great! I am so excited to listen about this competition and I want to subscribe. Thank you for telling me.